PAC is hosting a FREE Play Palace Event, Friday April 20th! JQ Grades K-3 students are invited to enjoy the inflatable bouncy castles, slides and obstacle courses at the Kerrisdale Play Palace. Where: Kerrisdale Cyclone Taylor Arena, 5670 East Blvd. Vancouver, B.C. Cost: Free! This is a PAC sponsored event. 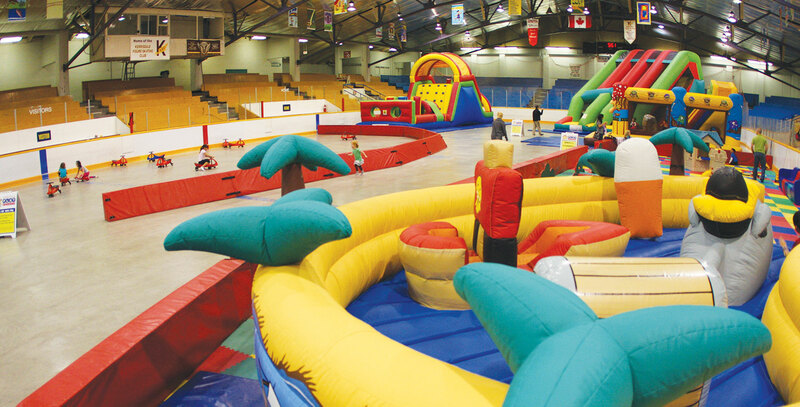 All children must be supervised by an adult, but adults are not generally allowed on the inflatable equipment. Please ensure your child is being accompanied by an adult who will be in charge of their care. Adults do not need to register. Please only register your student(s). Children are also required to remove their shoes and wear socks in the play area. We’re limited to 150 participants, click here to reserve a spot for your child.